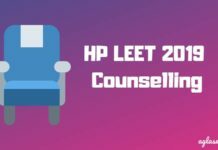 HP LEET 2019 – The HP LEET 2019 test is scheduled to be conducted on May 26, 2019, by the Himachal Pradesh Takniki Siksha Board, Dharamshala. Students who are seeking admission in various Polytechnic Programmes in government and private colleges of the Himachal Pradesh can apply for HP LEET 2019 by filling up an online application form. The application form of HP LEET 2019 is available now, direct link to fill the same is provided on “application form” page. 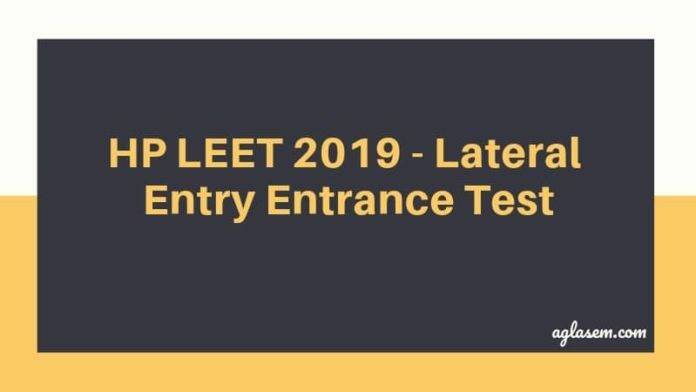 HP LEET 2019 is a state-level entry test which usually is held in 9 stations across the State. You can find all the details of the HP LEET 2019 application process, eligibility criteria, admit card, result from this page below. Links to access the important portal for the admission process will also be provided on this page. Latest: The application form of HP LEET 2019 has released. Click here to fill the same. The HP LEET 2019 examination is pen and paper-based, and if you are eligible you can fill up the application form online and complete the application procedure as per the schedule. In the table below, we are providing you with the schedule of the same. 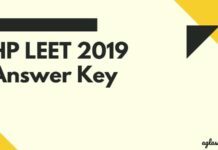 Click here to check the schedule of HP LEET 2019. 12th Science (with mathematics as one of the subject) or 12th science with the technical vocational subject. 10+2 years ITI under NCVT/SCVT/COE in engineering stream shall be eligible for admission to Second-year Diploma Course(s) of the appropriate programme as per AICTE Norms. Eligible and Interested candidates may fill their application from the official website as per schedule. In the HP LEET 2019 application form, candidates have to fill in the details such as personal information, communication details, educational qualifications and many more. Before filling the online application, candidates are requested to read the instruction for online application. Application Fee: Below we mentioned the category wise application fee. Mode of Fee Payment: Online (Debit Card / Credit Card / Net Banking) or Bank Challan of State Bank of India. 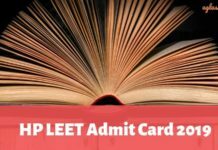 HP LEET 2019 Admit Card will be released officially prior to the entrance exam for Admission to Diploma courses in Govt. and Pvt. Polytechnics in Himachal Pradesh under Lateral Entry Scheme for the academic session 2019-20. The admit card would not be sent by any means to the candidates and it must be downloaded from the official website or by visiting the direct link provided above on this page. The admit card once downloaded should be carefully examined by the candidate. No candidate will be permitted to sit in the entrance test without a valid Admit Card. NOTE: Each question is followed by 4 alternative answers. The candidate will have to choose the correct answer and dark/shade against the appropriate choice in the OMR response sheet with blue/black pen adhering to the instructions provided. The HP LEET 2019 entrance test is going to be conducted in the following 9 stations across the state. The list of the centres is given below. You must note that these are the centres for HP LEET 2019 examination. The Himachal Pradesh Takniki Shiksha Board releases the official answer key of HP LEET 2019 on its official website only. Candidates can check the answers of the HP LEET 2019 examination, after the test. This will help you to crosscheck your answers and get a rough idea of your score in the HP LEET 2019. To evaluate the tentative result, candidates must the marking scheme as prescribed by the conducting body. Although the official answer key will be released after a few days of the entrance exam. Meanwhile, various coaching centres published the unofficial answer key on the day of the examination itself. HP LEET 2019 result will be released officially after the entrance exam for Admission to Diploma courses in Govt. & Pvt. Polytechnics in Himachal Pradesh under Lateral Entry Scheme for the academic session 2019-20. The results will be announced on June 01, 2019. The result will not be sent to you by post or any other means. In the result, candidates would be able to check their marks secured and ranking in the entrance exam. Among the candidates having the same total marks, a candidate will be ranked higher than the rest on the basis of age. It is a common admission test. Reservation/ weightage of any kind will be provided as per Govt. policy by the Admission Selection Committee. The category & sub-category as filled in the online form by the candidate shall be final and may not be changed in general; hence the decision of the Admission selection committee will be final. The candidate seeking admission in two or more different sub-categories have to fill only one application form and mark his / her options as per the prescribed instructions, given for filling up the online application form. If the candidate has not mentioned any category/sub-category in his / her application form then his / her candidature would be considered against General category only.